City building games have been something of a staple in the PC strategy genre for decades. There's something strangely satisfying about building various structures to suit the needs of citizens that players often don't even see. But what if the buildings were the citizens? What if offices, shops, hospitals, and other buildings were sentient, mobile, and capable of human-like emotion? 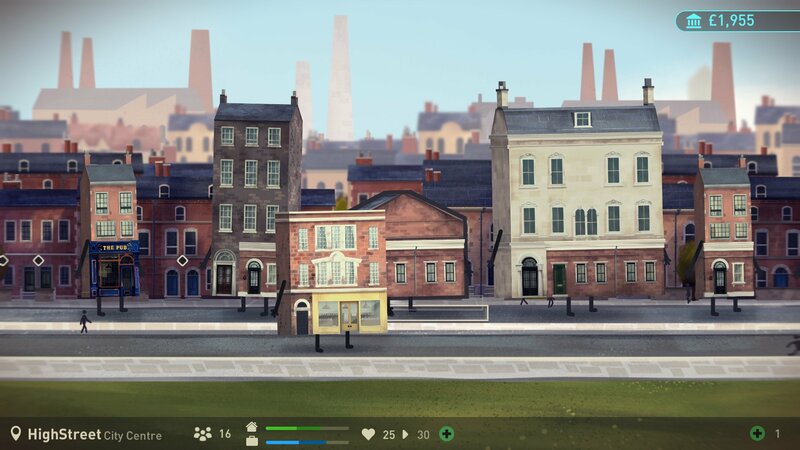 In a nutshell, that's the pitch behind Buildings Have Feelings Too!, the indie city building game from Blackstaff Games. Shacknews was recently able to speak with Benjamin Donoghue, creative director of Blackstaff, to learn more about the studio's fresh take on the traditional city-building formula. Donoghue was on-site at this year's GDC 2019 convention to show off the studio's latest work and give players a chance to see the game's twist on established conventions. Donoghue's background in animation is apparently one of the primary inspirations behind Buildings Have Feelings Too!, as he says he simply likes "to put arms and legs on things." Once that connection was made, the idea of creating a city filled with sentient beings — and, in fact, being designed by one — finally began to take shape. As for the gameplay itself, the hero building can walk around and apply purposes to given buildings — turn them into businesses, upgrade them to attract more visitors, that sort of thing. It's very much like a normal city building game, except in this case the buildings themselves have feelings, wants, desires, and ideas of what their purposes should be. If the protagonist building disregards their desires, suffice to say it won't be making very many friends. While the game still doesn't have a formal release date set, players on PC via Steam, PlayStation 4, Xbox One, and the Nintendo Switch can expect to see Buildings Have Feelings Too! launch later this year. For more in-depth interviews, convention highlights, and gaming video coverage, be sure to check out both Shacknews and the GamberHubTV over on YouTube.